1981 saw a change of producer for Janie, with Jim Ed Norman taking up the reins from Billy Sherrill for Sleeping With Your Memory. The result was incrased success for her on radio and with the industry – Janie would be named the CMA Female Vocalist of the Year in 1982. The lead single was ‘Do Me With Love’, written by John Schweers. 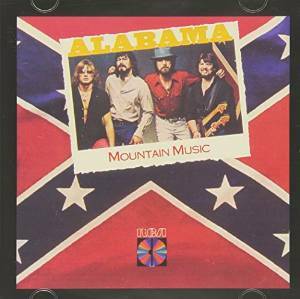 A bright perky slice of pop-country, this rather charming song (featuring Ricky Skaggs on backing vocals although he is not very audible) was a well-deserved hit, peaking at #4. Its successor, ‘Don’t Worry ‘Bout Me Baby’, was Janie’s first chart topper. It was written by fellow country starlet Deborah Allen with rocker Bruce Channel and Kieran Kane (later half of the O’Kanes). It’s quite a well written song, but the pop-leaning production has dated quite badly, and Janie’s vocals sound like something from musical theater. Simon & Garfunkel’s ‘Homeward Bound’ is given a folk-pop-country arrangement which is quite engaging (Ricky Skaggs multi-tasks on this song, contributing fiddle, mandolin and banjo as well as backing vocals), but I’m not quite sure I entirely buy Janie as the folk troubadour of the narrative. The Gibb brothers (the Bee Gees) had some impact on country music by dint of writing songs like ‘Islands In The Stream’ for Dolly Parton and Kenny Rogers, and their ‘Love Me’ is a very nice mid-paced ballad. Janie sings Larry Gatlin’s sensitive ballad ‘The Heart’ beautifully; Larry and one of his brothers add backing vocals. The arrangement is swathed with strings, and the overall effect is fairly Adult Contemporary in style, but the track is a fine showcase for Janie’s lovely voice. The wistful ballads ‘Always’ and ‘If You Could See Me Now’ are also impeccably sung. The title track is a downbeat ballad about coping with a breakup, and is quite good, though not very country. ‘There’s No Future In The Past’, written by Chick Rains, is a very strong ballad about starting to move on, which I liked a lot despite the early 80s string arrangement. The closing ‘Midnight Words’ is fairly forgettable. While this is not the more traditional side of country with heavy use of strings and electronic keyboards, it is a good example of its kind with some decent song choices, and Janie was starting to find her own voice. Fayssoux Starling McLean is best known to country fans for her gorgeous harmonies on some of Emmylou Harris’s iconic 70s recordings like ‘Green Rolling Hills Of West Viginina’. She was silent for years, but re-emerged in 2008 with a well-received solo album. The follow-up, on Red Beet Records, is a lovely country-folk confection mixing some well-chosen covers with her own new songs. Her rich, warm voice is tastefully supported by acoustic backings. The soothing title track is a lovely inspirational song written by Kieran Kane (once of The O’Kanes) with Sean Locke and Claudia Scott. The ballad ‘When The Thought Of You Catches Up With Me’ was previously recorded by its writer David Ball, but Fayssoux brings a new delicacy and sweetness to it which works beautifully. A lovely understated version of ‘Mama’s Hungry Eyes’ is a real highlight, with Fayssoux convincingly selling the story as though it was her own. Donna Ulisse’s delicate harmony is the perfect ornamentation. ‘Some Things Are Too Good To Last’, written by Jim Lauderdale, is another fine song with sweet harmonies. ‘I Made A Friend Of A Flower Today’ a very charming folky duet with Tom T Hall, who wrote it. This is another favorite track for me. ‘My Brain’ has a jazz rhythm and the vocal is a bit breathy. ‘Hell On A Poor Boy’ (written by poet R B Morris) is bluesy in a wistful way. 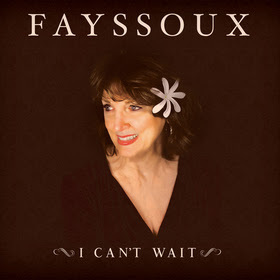 Fayssoux wrote a number of the songs with musician/journalist Peter Cooper and/or Thomm Jutz. ‘Golightly Creek’ is a nicely observational song about finding peace by returning to her birthplace. ‘The Last Night Of The War’ has an authentic traditional folk feel with its post-Civil War setting. She wrote ‘Find Your Own Light’ solo, and this is a deeply introspective song about finding oneself. ‘Ragged Old Heart’ is a little more upbeat with a bright tempo, although it too deals with a damaged individual. This is a lovely record, drawing deeply from the wells of the best country and folk music. 1992’s Lonesome Standard Time saw Kathy working with a new producer, Brent Maher, probably best known for his work with the Judds in the 80s. Happily, this didn’t change the overall style, and Kathy was able to maintain her usual standard of high-quality material with a strongly non-mainstream feel. 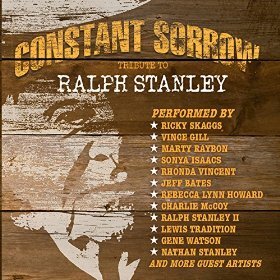 The punchy title track, written by Jim Rushing and Larry Cordle, draws on the high lonesome tradition of bluegrass to portray the sad emotions of a broken heart, when the sound of a “crying fiddle is the sweetest sound on earth”. The lead single, it just failed to break into the top 10 but is a great track with a committed, energized vocal which opens the album with a real bang. The pensive ballad ‘Standing Knee Deep In A River (Dying Of Thirst)’ contemplates losing touch with friends not treasured enough. A mature lyric and string laden production make this a bit more AC than most of her work, but the lovely tune, sensitive vocal, and wise lyrics (penned by Bucky Jones, Dickey Lee and Bob McDill) would stand out in any company. Its genre crossing capacity is shown by the fact that blues-rock musician Joe Cocker covered the song in 1994, followed by country veteran Don Williams in 1995. Kathy’s version was the album’s second single and just squeezed into the top 20. The final single, Nanci Griffith’s uplifting ‘Listen To The Radio’, where country radio acts as the protagonist’s friend and companion while she drives away from her man, performed even more poorly despite being packed full of vocal character – not to mention the presence of Eagle Bernie Leadon on guitar. The sardonic and catchy ‘Lonely At The Bottom’ had recently been recorded by former duet partner Tim O’Brien in his shortlived attempt at a solo country career. The protagonist is talking to an old friend who has found success has not brought happiness; unfortunately, Kathy informs him, poverty has brought nothing better either. A great acoustic arrangement, Kathy’s playful interpretation supported by call and response backing vocals make this highly enjoyable. ‘Forgive And Forget’ is a mid-tempo Kieran Kane song which sounds potentially radio friendly, and had previously appeared on Kane’s underrated 1993 solo Atlantic album Find My Way Home following the breakup of The O’Kanes. A lively, confident cover of ‘Amarillo’ is also highly entertaining. The gentle ‘Last Night I Dreamed Of Loving You’ is a beautiful song by country-folk poet-songwriter Hugh Moffatt, given a delicately stripped down production, with the haunting harmonies of Tim O’Brien balancing the raw emotion of the lead vocal. There are just a couple of tracks which fail to sparkle. ‘Slow Boat’, written by Kathy’s husband Jon Vezner with George Teren is pretty and laidback but a little forgettable. ‘33, 45, 78 (Record Time)’ takes a metaphorical look back at the passing of time. Despite the relatively disappointing performance of teh singles, sales were good, and it was Kathy’s fourth successive gold record. The limited airplay may mean, however, that more casual fans may have missed out on an excellent album. Luckily, you can make up for that, as used copies are available very cheaply. This song was originally recorded by Kieran Kane as part of the 80s duo the O’Kanes. It was later covered by Trisha Yearwood.